** Note: Blueberries are very low in calories. 100 g fresh berries carry just 57 calories. Nonetheless, they possess notable health benefiting plant-nutrients such as soluble dietary fiber, minerals, vitamins, and pigment anti-oxidants that contribute immensely towards optimum health and wellness.Blueberries are among the highest anti-oxidant value fruits.Fresh berries carry small amount of vitamin C, vitamin A and vitamin E. Altogether, these vitamins work as potent anti-oxidants which help limit free radical mediated injury to the body. Furthermore, they contain a good amount of minerals like potassium, manganese, copper, iron and zinc. Potassium is an important component of cell and body fluids that helps controlling heart rate and blood pressure. Manganese is used by the body as a co-factor for the antioxidant enzyme, superoxide dismutase. Copper is required for the production of red blood cells. Iron is required for red blood cell formation. You will need to Freeze Some bananas overnight to get the “ice-cream” texture you desire! Put the bananas & Blueberries, date * Chia seeds into the blender and pulse for a bit so they break up! Pour or scoop your Blueberry Banana Blast ice-cream in a serving dish and ENJOY! Previous Natural and Easy Beauty Hacks!!! 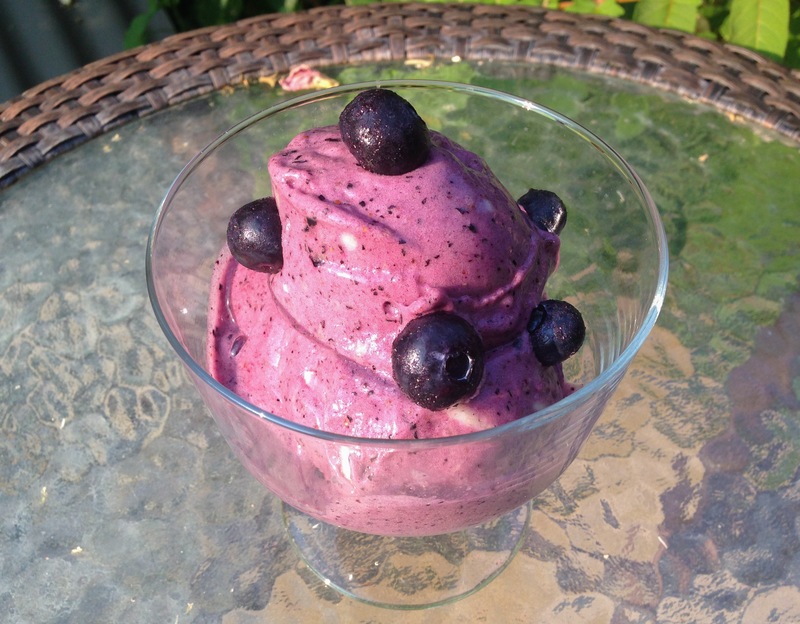 that looks so yummy I have frozen blue berries in my freezer….will so this one when we get home…. This looks delicious! I have never thought of putting chia seeds into my nicecream, but am definitely gonna try that some time. 🙂 I’m loving your site!